In a complete U-turn, Citron Research released a note to investors outlining reasons it thought the smart move is to be "long" and own Tesla shares—which were up 12.7 percent to $294.14 at the end of the Nasdaq trading day. "Tesla appears to be the only company that can actually produce and sell electric cars," the note said. Tesla is at something of a turning point. It has been accelerating production of its Model 3, the mass-market vehicle with a potential to disrupt the entire automotive sector—yet the company remains burdened by billions in debt and has yet to show a profit. "Rumors of the Tesla killers have been as constant and unfounded as Bob Lutz's call for Tesla's bankruptcy," said Citron Research, founded by activist short-seller Andrew Left. 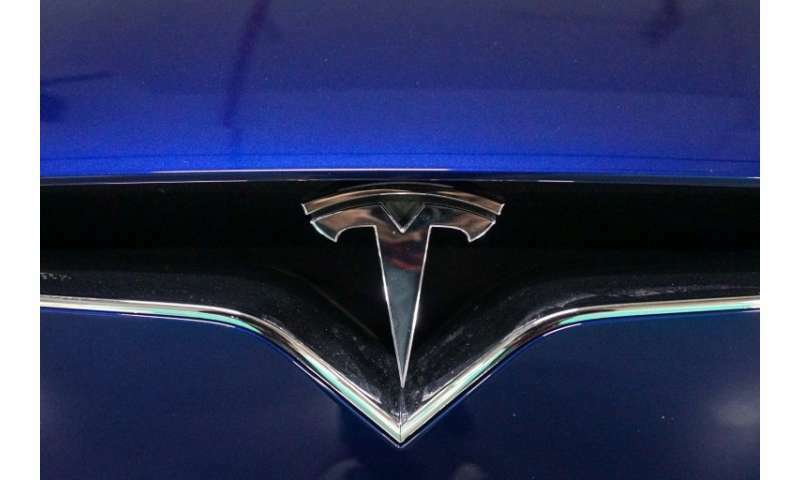 "While the media has been focused on Elon Musk's eccentric, outlandish and at times offensive behavior, it has failed to notice the legitimate disruption of the auto industry that is currently being dominated by Tesla." The note came as Tesla moved up its quarterly earnings release date to Wednesday, in a move that hinted the California-based car maker may be eager to share where it is on the road to profitability. Tesla co-founder and chief executive Musk has lashed out on Twitter at short-sellers, earlier this year sending "short shorts" to one such investor betting on shares in the company dropping. Musk even tweeted that short shorts would be added to a line of merchandise sold by Tesla. Less than a week after settling fraud charges with the US Securities and Exchange Commission (SEC), Musk early this month derided the agency on Twitter. "The Shortseller Enrichment Commission is doing incredible work. And the name change is so on point!" Musk said on Twitter. Short-sellers are investors who bet that shares will fall and are frequently the subject of Musk's derision. The comments came after Musk reached a settlement with the SEC that required him to pay a $20 million fine and step down as chairman, but let him stay on as chief executive of the envelope-pushing carmaker. The SEC filed a lawsuit on September 27 charging fraud and seeking to bar Musk from serving as an executive at any public company. Musk agreed to settle the case two days later in a resolution hailed by the agency. However, Citron's Left has also filed a civil suit against Tesla and Musk for violating federal securities laws with misleading information.